American movie star Sylvester Stallone has signed up as the new face of the Russian vodka ‘Russky Led’. The Kommersant newspaper reports that the actor and director will be paid a million dollars for the trouble. 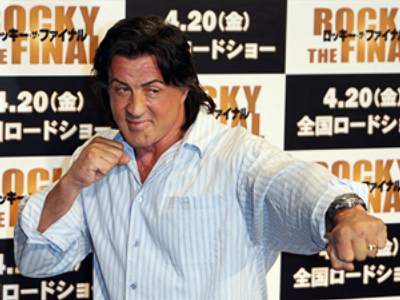 Stallone is best known for his roles in the Rocky series of films, which told the story of a washed-up boxer who became the world heavyweight champion. He also enjoyed huge box-office success in the Rambo movies. His latest venture is with Sinegria Holding, Russia’s third largest vodka producer. It has 16 branches in Russia, with an annual turnover amounting to almost $ US 900 MLN.